We offer NLP in Moseley which is an amazing cognitive intervention for change, whether this change is considered NLP Coaching or NLP training in Moseley, to improve your confidence and business communication skills. We also provide CBT near Moseley to help people overcome anxiety and depression. CBT (cognitive behavioural therapy) is the preferred therapeutic intervention of the NHS and may be available via you GP. We offer CBT without the waiting list and in line with the current guidelines. We will see you quickly and as often as is needed to affect the change you require (rapid intervention). Moseley has grown around the crossroads known as Moseley village and is a centre for health shops, restaurant and Moseley Farmers Market. It is within easy walking distance of Edgbaston Cricket ground and is the home for Moseley Hall Hospital which is renown for its rehabilitation programs in brain injury, COPD, falls prevention etc. West Midlands Hypnotherapy Centre is based just 15 to 20 minutes from the centre of Moseley Village and is easily accessed by car as well as public transport. There is talk of opening Moseley train station which would put it only a few stops from Kings Norton train station and just 2 minutes walk from our Therapy Centre in Middleton Hall Road. Hypnotherapy in Bournville is well situated close to the Cadbury chocolate factory and Cadbury world. With easy access from Harborne, Selly Oak, Edgebaston, Stirchley, Longbridge and surrounding areas. NLP in Bournville can help you make the changes in your life you have been looking for. NLP (Neuro-Linguistic Programming) is a powerful therapeutic change model used by Anthony Robbins, Paul McKenna, Derren Brown and more. Many people suffer with IBS, anxiety, fears and phobias but think there is no help out there. Many people want to stop smoking and have found that the nicotine patches and electric cigarettes haven’t worked for them. Here at Hypnotherapy in Bournville we can help. Bournville is situated in the South of Birmingham and has always been closely linked to the Cadbury family. 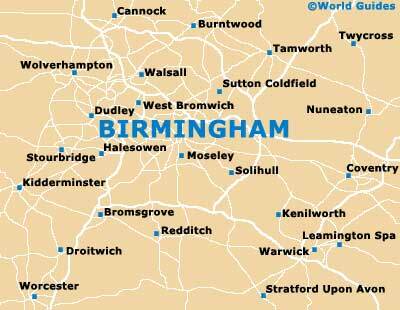 Here at the West Midlands Hypnotherapy we are only a few minutes from Bournville Green at the heart of Bournville. Just follow Linden Road up to Cotteridge where you will find Cotteridge Church at the centre of Cotteridge shopping centre. From there it is just 1 minute to our offices at 3 Middleton Hall Road. Habit Control e.g. Smoking, over-eating, nail biting etc. A hypnotic state occurs naturally in everyone when certain physiological and psychological conditions are met and with the assistance of a qualified hypnotherapist it is possible to use this state to make deep and lasting changes to thoughts, feelings and behaviour. It may be surprising for many to learn that we experience trance states often and naturally during the course of our daily lives; reading a book, watching a film, even passing into ordinary sleep involves a kind of trance state. The experience of hypnosis can seem like a state of neither asleep nor awake and a little like daydreaming, with a pleasant feeling of deep relaxation behind it all. In this way, hypnosis can be considered as an effective way of making contact with our inner (unconscious) self, which is both a reservoir of unrecognised potential and knowledge as well as being the unwitting source of many of our problems. It is a fact that no-one can be hypnotised against their will and even when hypnotised, a person can still reject any suggestion if they so choose. Thus therapeutic hypnosis is a state of purposeful co-operation. "look into my eyes not around my eyes.... one-two-three you're under..!!" Clinical Hypnosis is about helping you to create a resourceful state to deal with traumas, problems and habits that are causing you problems. Here at The West Midlands Hypnotherapy Centre we want you to be how you want to be not how others make you feel...! Clinical Hypnotherapy means using hypnosis to treat a variety of psychological and perceived medical problems. It is estimated that 85% of people will readily respond to clinical hypnotherapy. It may even succeed where other methods of treatment have not produced the desired results. When carried out by a professionally trained and skilled hypnotherapist, the benefits could be long lasting and potentially even permanent. It is natural and safe, with no harmful side effects; in fact the only real side effect is a deeper state of relaxation.